We are a prominent firm, which is engaged in manufacturing, supplying and exporting a qualitative range of high quality Oil Dipsticks. The offered range of Oil Dipsticks is manufactured by our professionals using optimum grade raw material and ultra-modern technology. These Oil Dipsticks are highly appreciated in the worldwide market for their superb features like corrosion resistance, fine finishing, longer service life and dimensional accuracy. We are the leading Manufacture, distributor, supplier and dealer of Oil Dipsticks in Chennai, Tamil Nadu, India. We Manufacture this Oil Dipsticks and we trade, distribute and supply this Oil Dipsticks to all over Tamil Nadu, Andhra Pradesh, Karnata, and all states in India. We are a prominent firm, which is engaged in manufacturing, supplying and exporting a qualitative range of high quality Oil Dipsticks. The offered range of oil dipsticks is manufactured by our professionals using optimum grade raw material and ultra-modern technology. These dipsticks are highly appreciated in the worldwide market for their superb features like corrosion resistance, fine finishing, longer service life and dimensional accuracy. 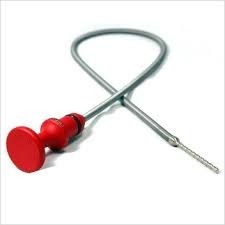 We are the leading Manufacture, distributor, supplier and dealer of Auto Dipstick in Chennai, Tamil Nadu, India. 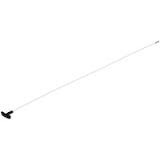 We Manufacture this Auto Dipstick and we trade, distribute and supply this Auto Dipstick to all over Tamil Nadu, Andhra Pradesh, Karnata, and all states in India. 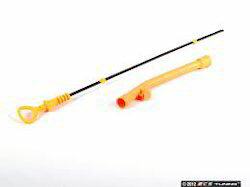 Owing to profound experience of the industry, we are offering a gamut of Auto Dipstick. These Auto Dipstick are developed employing latest technologies and high-tech machines in compliance with industry set norms and guidelines. 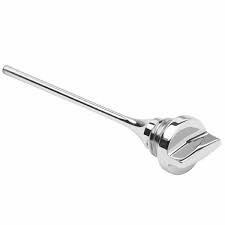 Patrons can avail these Auto Dipstick products from us by paying through varied simple modes as per their ease. Further, a team of deft expert makes sure that only flawless material is delivered at clients location within the committed time-period. We are the leading Manufacture, distributor, supplier and dealer of Car Oil Dipsticks in Chennai, Tamil Nadu, India. We Manufacture this Car Oil Dipsticks and we trade, distribute and supply this Car Oil Dipsticks to all over Tamil Nadu, Andhra Pradesh, Karnata, and all states in India. We offer a wide range of high quality Car Oil Dipsticks to our valuable customers. These Car Oil Dipsticks products are widely used to measure the quantity of the car oils. These Car Oil Dipsticks products are manufactured using optimum quality raw materials. These Car Oil Dipsticks products are known for their dimensional accuracy and compact design. These Car Oil Dipsticks products are manufactured using latest technology machinery and under the supervision of highly qualified professionals, to ensure high standards of quality. 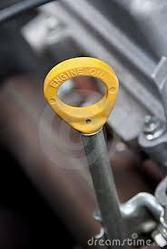 We are the leading Manufacture, distributor, supplier and dealer of Engine Oil Dipstick in Chennai, Tamil Nadu, India. We Manufacture this Engine Oil Dipstick and we trade, distribute and supply this Engine Oil Dipstick to all over Tamil Nadu, Andhra Pradesh, Karnata, and all states in India. We are one of the leading manufacturers, suppliers, and exporters of high quality Engine Oil Dipstick to our valuable customers. These Engine Oil Dipstick products are made available at standard market prices. We believe in timely delivery of these Engine Oil Dipstick products. These Engine Oil Dipstick products undergo various quality assurance procedures, to ensure high standards of quality. These Engine Oil Dipstick products are widely used for measuring the oil level. 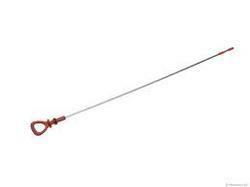 We are the leading Manufacture, distributor, supplier and dealer of Flexible Oil Dipstick in Chennai, Tamil Nadu, India. We Manufacture this Flexible Oil Dipstick and we trade, distribute and supply this Flexible Oil Dipstick to all over Tamil Nadu, Andhra Pradesh, Karnata, and all states in India. We offer a wide range of high quality Flexible Oil Dipstick to our valuable customers. These Flexible Oil Dipstick products are manufactured using optimum quality raw materials that are sourced from reliable vendors. These Flexible Oil Dipstick vendors have been associated with us over a long period of time. These Flexible Oil Dipstick products are widely used to measure the petrol level or to perform some chemical tests. These Flexible Oil Dipstick products are available at standard market prices. 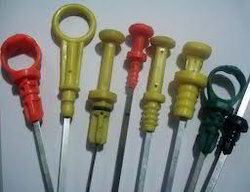 We are the leading Manufacture, distributor, supplier and dealer of Assy Oil Dipstick in Chennai, Tamil Nadu, India. We Manufacture this Assy Oil Dipstick and we trade, distribute and supply this Assy Oil Dipstick to all over Tamil Nadu, Andhra Pradesh, Karnata, and all states in India. An Assay Oil Dipstick is used for measuring the oil level in an oil receptacle such as the crankcase of an automotive vehicle, including an elongated rod that is received in a wiping member in frictional contact therewith and is movable outwardly of the crankcase relative to the wiping member, wherein oil is removed therefrom by contact with the wiping member. We are the leading Manufacture, distributor, supplier and dealer of Autozone Oil Dipstick in Chennai, Tamil Nadu, India. We Manufacture this Autozone Oil Dipstick and we trade, distribute and supply this Autozone Oil Dipstick to all over Tamil Nadu, Andhra Pradesh, Karnata, and all states in India. An Autozone Oil Dipstick is used for measuring the oil level in an oil receptacle such as the crankcase of an automotive vehicle, including an elongated rod that is received in a wiping member in frictional contact therewith and is movable outwardly of the crankcase relative to the wiping member, wherein oil is removed therefrom by contact with the wiping member. Looking for Oil Dipsticks ?